[Re “Mitzvot Accomplished,” October 14]: Your article on Rabbi Chasan and his leadership of Ohavi Zedek Synagogue mentioned the 2013 open letter to U.S. senators Patrick Leahy and Bernie Sanders, Congressman Peter Welch, and Gov. 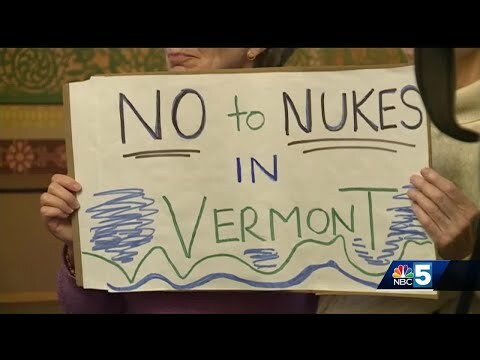 Peter Shumlin, in which Chasan and 15 other area clergy and religious leaders expressed concern over the proposed basing of the F-35 stealth bomber/fighter jet in Vermont. These spiritual leaders beseeched our political representatives to advocate on behalf of the thousands of Vermonters who will be negatively affected by the planned F-35 basing, especially middle- and low-income, minority, and refugee populations. They urged the politicians to use their influence to withdraw Burlington from this first selection process and wait until the next round of basing, by which time the F-35s would have developed a track record on their impact on safety, health and property values. Sadly, the politicians did not listen and they refused to meet with the clergy or any of those who would be impacted by the basing! Then in February 2015, Rabbi Chasan and 45 other religious leaders again contacted these representatives to ask for a delay in the basing. “Common sense would direct the placement of these planes to airports with far fewer people in the vicinity; far fewer children whose young ears would be blasted, their learning disrupted,” Chasan said. And again they were ignored. Shame on our elected officials for refusing to even discuss the clergy’s concerns about the morality and the social justice impacts of the F-35 on the poor and marginalized. My sincere gratitude and heartfelt appreciation to Rabbi Chasan for repeatedly speaking out about this planned injustice to our residential communities.